Hiking in the Ecrins National Park, French Alps, is both rewarding and exhilarating. The remote, secluded network of deep valleys and high mountains at the heart of the park are the perfect escape from the busy world outside with the most beautiful vantage points only accessible on foot. Although the trails can be hard work, they are well signed and well worth the effort. We spent a week in the Ecrins in August 2014 and discovered a wilderness that bought the Himalayan slopes to mind. Scroll down to view the hikes we tackled. Click here for 6 reasons to visit the Ecrins. This hike into the hanging valley, Vallon du Borne Pierre, which sits beneath Europe's southernmost 4000m peak is physically demanding, with over 1000m of vertical ascent. Towards the top of the ascent the path zig-zags back and forth up the end of a steep sided moraine that is especially tough going, but upon cresting the top the unique view makes up for all that effort. Directly ahead the moraine stretches on, with the vertical cliffs extending up another 1200m to the Barre des Ecrins high above. The approach to this refuge is pretty and relatively undemanding. Upon reaching the refuge there are several options to extend the hike above 3000m, either continuing on to the precarious Refuge Le Promontoire (3092m) or up the valley side towards Col du Replat. We tried the latter although at around 3000m the route ahead required more serious climbing gear than we were carrying. A breathtakingly beautiful glacier at the head of a remote valley deep in the Ecrins. Reached from La Berarde by following an initially undemanding valley route to Refuge de Carrelet, followed by a stiff climb to the Refuge Pilatte up a rocky mountainside. We set off early so had the trail to ourselves most of the way, enjoying a wonderful spectacle as the sun gradually filled the valley floor. The Col du Lauteret is a high road pass in the north of the Ecrins. At 2056m altitude it provides a perfect opportunity to get among the high mountains on the northern fringe of the Ecrins. This hike towards the Col de Laurichard is a little steep near the top but it's worth pushing on as the trail leads to one of the most impressive outlooks we have discovered in the French Alps. This occasionally narrow but otherwise flat and undemanding trail from the Col du Lauteret traverses the mountainside before heading into the heart of the Ecrins National Park. 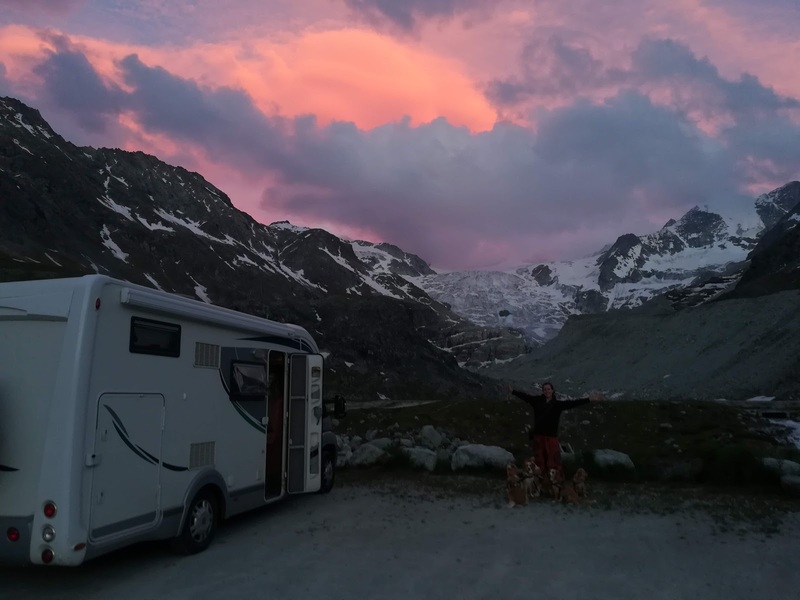 Not only does it offer a fantastic viewpoint of the Glacier du Lauteret, it is also possible to continue deep into the park for several longer hikes as well following the GR54 (Tour de Oisans).